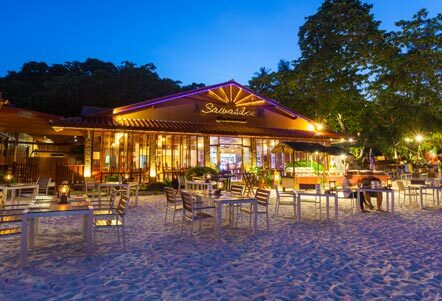 Welcome to our tropical beachfront resort on Phi Phi Island! 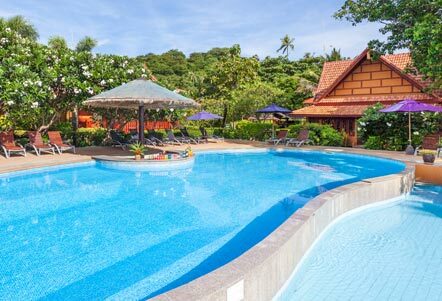 Phi Phi Erawan Palms Resort rests on the gorgeous Laemthong Beach on the tranquil north side of the island, perfect for a relaxing and romantic stay. Spend your days sleeping late in spacious rooms, swimming in the sea view pool and lazing on the heavenly white sand beach. For extra pampering try a Thai massage at our beachfront pavilions and you won’t be disappointed with our delicious local and Italian cuisine. 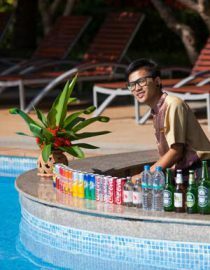 The friendly team at our Laemthong Beach resort are always ready to greet you with a smile and ensure you have a wonderful holiday. 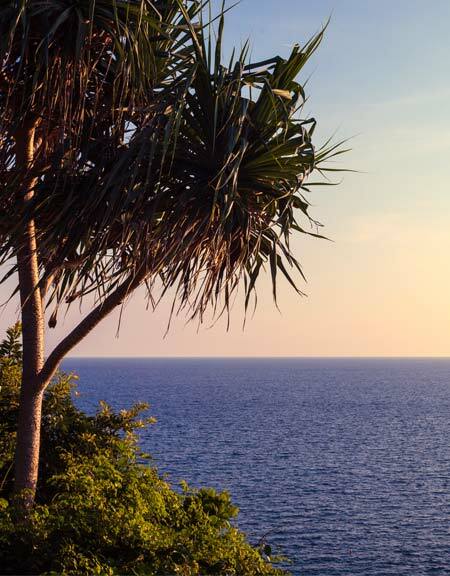 When you are ready to explore, visit the Sea Gypsy Village next door and hop on a long tail boat to discover the beautiful islands and bays in the Andaman Sea. Phi Phi Erawan Palms offers a range of facilities for relaxation including a lovely sea view swimming pool and pool bar. Take a stroll around our resort and discover a scenic lake and a second pool upon the hill. Our lobby is comfortably furnished with books and magazines and we have a spacious waiting lounge with showers for early check-in/late-check-out guests. 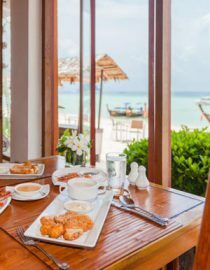 Guests are spoilt for choice with three restaurants at Phi Phi Erawan Palms Resort offering a variety of international and local dishes. 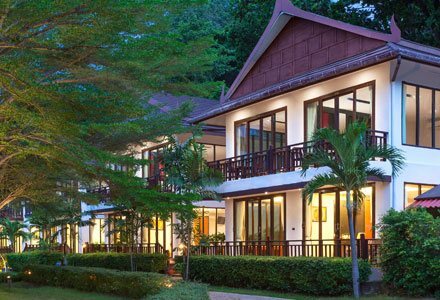 Phi Phi Erawan Palms Resort is situated on Laemthong Beach, a beautiful 800m white sand beach on the peaceful northern coast of Phi Phi Island. This beach can only be accessed by boat, and there are no pubs or discotheques here ensuring privacy and tranquillity from the tourist crowds.